Switching to the cloud can increase speed, keep sensitive data secure, and streamline your IT operations. Last week, I began my journey into the benefits of switching your business to the cloud. This week, I continue that journey, exploring – albeit in less depth – my final three advantages of enterprise-level cloud technology: unparalleled speed, customizable security, and the potential for full IT consolidation. Cloud computing is always faster than a typical server. On a typical server, the computer does all of the work in a multi-step procedure. You ask the machine for information; it processes this request; it searches its disk to find the information; it formats the information; it spits the information back to you. All of this, depending on how busy the computer is at the time, can take an abysmally slow amount of time. With virtualization (i.e. the cloud), certain dedicated machines handle all of the processing. The cloud asks for information and simply gets it back – a huge decrease in your wait-time, which, depending on the business, can translate to huge increases in profits. In most any business, there exists a hierarchy of management. Particularly in businesses with sensitive data, such as patients’ records or clients’ financial information, this hierarchy of management coincides with the hierarchy of accessible information. The entry-level employees in these sensitive sectors most likely do not get (or need) full access to every file on every customer or patient; the Director of Fourth Floor Operations, on the other hand, probably needs every parcel of information the company can get. When you move your data to the cloud, customizing the accessibility of your records becomes simple. Certain authorized users can get the entire picture, while other users can only access a few secure snippets. 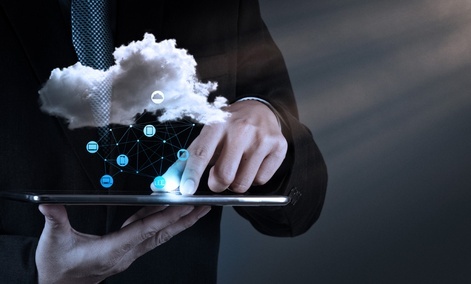 At its most basic, the cloud is simply a virtual desktop that can be accessed anywhere with Internet connection. At its most complex, it is a virtual desktop combined with a full range of server maintenance and IT support, including firewall installation and continuous software updates, along with the secure virtualization of all your company’s data. Instead of allocating valuable resources to hiring an entire IT department or purchasing on-premise servers, the cloud allows small businesses – and startups in particular – to get the technological ball rolling while significantly reducing overhead costs. Wherever you are in your business – just starting, been around for a decade, or been around for seven decades – eventually, inevitably, you will probably make the switch to virtualization. Already, it is consuming the lives of individuals. Soon, it will consume the business world more completely than it already has. In terms of time, money, and other valuable resources, the cloud is often the best decision for a business in the increasingly technological landscape of this era. The scalability alone is enough to cut costs significantly, but not having to support your own on-premises server compounded with the potential for total IT support – well, it seems the cloud is a no-brainer for small- and medium-sized businesses with nearly any level of tech requirements. So, I suppose the question now is: when will you make the switch?